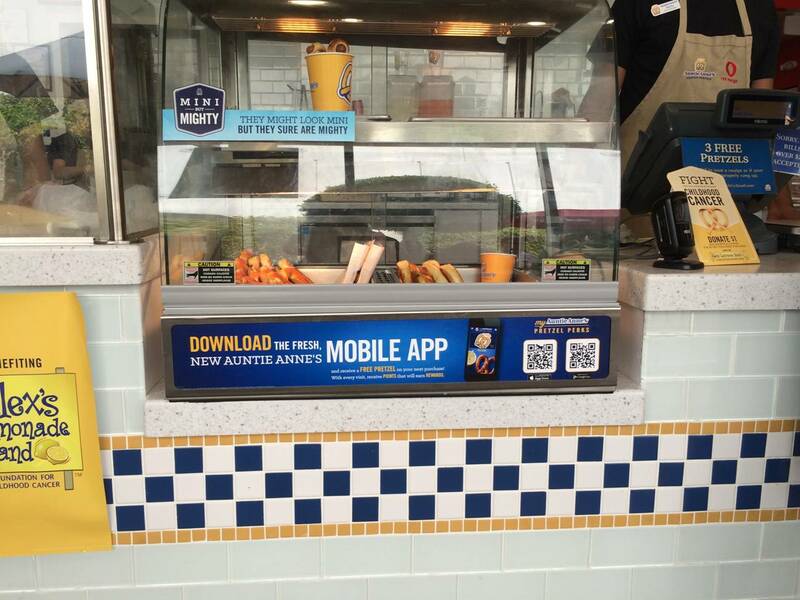 Qubob is proud to announce the rollout this week of the “My Pretzel Perks” mobile loyalty app we developed for beloved pretzel chain Auntie Anne’s. 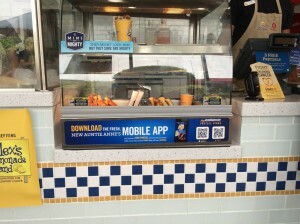 It all began 18 months ago when Qubop partnered with MICROS Systems, Inc. to deliver the app — and now the app can be used in hundreds of Auntie Anne’s stores across the country. The app works as a rewards system, delivering points for each visit and every dollar spent at Auntie Anne’s. But it also allows the company to strengthen its relationships with its customers beyond the counter. 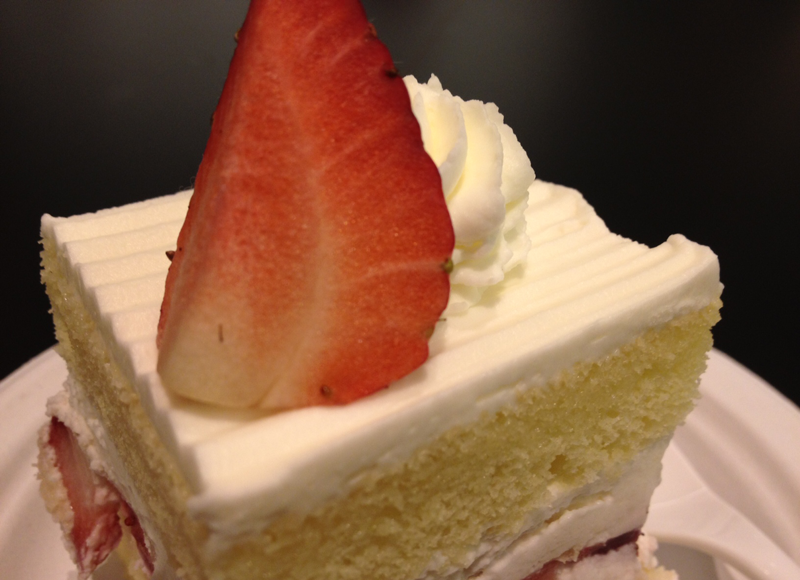 Based on what customers buy, the app can make unique offers that suit their tastes. Also, we just have to geek out for a moment: Notice the custom receipt message printing and the fact that the number of points printed on the receipt matches the numbers in the app, in realtime. This immediate updating in-app is pretty rare. In fact, as far as we know, we may actually be the only ones doing this. Check out the official Auntie Anne’s press release here. 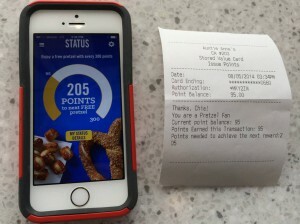 The “My Pretzel Perks” mobile loyalty app is currently available for download at both the App Store and Google Play Store. Just signing up for an account gets you your first reward — a free pretzel. Evan presented a talk this morning at the Renaissance conference for iOS developers that discussed how to design APIs for enterprise mobile apps and how iOS developers can make the best use of the Salesforce platform. One of the main points concerned how iOS developers should understand the Salesforce platform, which is different from how it is marketed to Salesforce customers. For developers, Salesforce offers a rapid way to develop the back end of enterprise mobile apps, with custom APIs to drive the mobile apps. As always, the experience of the user comes first — and that applies to API design. In mobile apps, API design should be derived from UI design. As Evan said, the user does not perceive the app the way you perceive data … and their screen is very small. Using a demo of Secure Sales Organization Manager, a native iPad app Qubop designed and developed for Sunnyvale-based Good Technology, Evan showed how the “Big 4” Salesforce elements — Sales Cloud, Service Cloud, Chatter and documents — can be combined and presented in a friendly UI, in this case in an app that serves as a dashboard for executives to manage sales managers and teams. API Design and Enterprise Mobile Apps from Qubop Inc.
Chia and Evan are helping to kick off the second year of Renaissance, the biggest independent conference for iOS app makers. Held tomorrow, Thursday and Friday at UCSF Mission Bay Conference Center in San Francisco, the conference offers a fast-paced single track of sessions that focus on the three ingredients for success in the app business: Inspiration, essentials and opportunities. With the explosive growth of enterprise apps in 2013, there are a wealth of new opportunities for mobile developers. However, as the name of the conference implies, makers of apps these days have to draw on skill sets that go beyond programming. User expectations are continuously rising, so app design is more important than ever. That doesn’t mean makers can fall down on the technical end. Forget IPOs — the three most valuable letters for an app maker are API. Apps now run on a wide variety of back end platforms and data sources. For native iOS developers, new apps come down to one question: What are the APIs? On the flip side, for enterprises who want to build an ecosystem, giving mobile developers easy access to data via APIs is critical. • Lunchtime Forum: Meet the Makers, Wednesday, 12:15 p.m.
• Win in the App Store, Wednesday, 4:45 p.m.
• Make the Right App, Make the App Right, Thursday, 3 p.m.
• Design for iOS7 and Beyond, Friday, 2:30 p.m.
• Connect Everyone, Wednesday, 2 p.m.
• Get Your Code Under Control, Thursday, 9 a.m. In addition, Evan will join conference co-founder Tim Burks Friday at 11:30 a.m. to present Running With APIs, a talk on using APIs to build successful apps. To keep track of sessions, speakers and news at the conference, download #renio, the Renaissance conference app. You can also keep track of Chia and Evan at @chiah and @theevank. Qubop helped kick off Dreamforce’s first day on November 18 with Chia and Evan’s talk “Mobile Magic: How to Create Outstanding Enterprise Apps with Salesforce,” drawing a substantial crowd for 9 a.m. on a Monday. 1. Design for users, not for yourself. 2. Leverage unique platform features. 3. Design from the interface backwards. 4. Think about where your code should live. Engineers tend to start with their own models of the data and design from there. But to build an excellent app, we must get inside the heads of the users and understand their workflows to identify the “micromoments” that will define the app and make it an essential tool. As an example, we demonstrated Secure Sales Organization Manager, an iPad app we developed with Sunnyvale-based Good Technology that serves as a dashboard for executives to manage sales managers and teams. 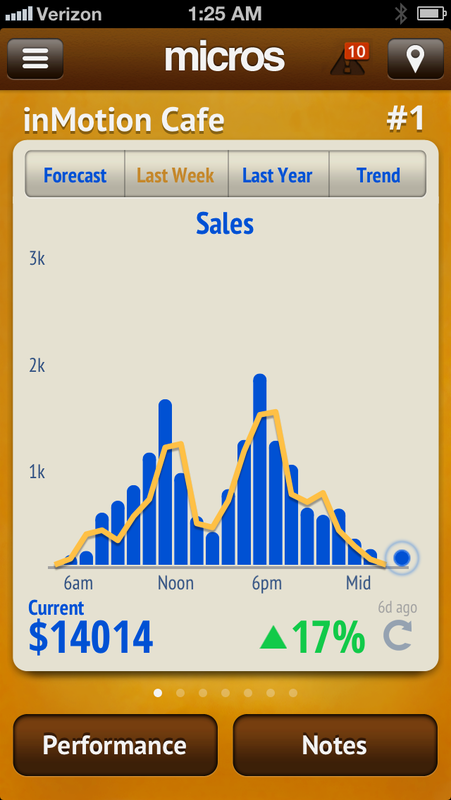 The app also shows off the power of leveraging Salesforce’s Chatter for a real-time social feed. Chatter is central to the Salesforce workflow and we recommend putting it into every mobile enterprise app. You can watch a video of the whole 23-minute presentation here. We showed a demo of the sales app all week at Qubop’s booth at Moscone West, Good’s booths at Moscone West and Moscone North and at the Product Showcase Campground at Moscone North. 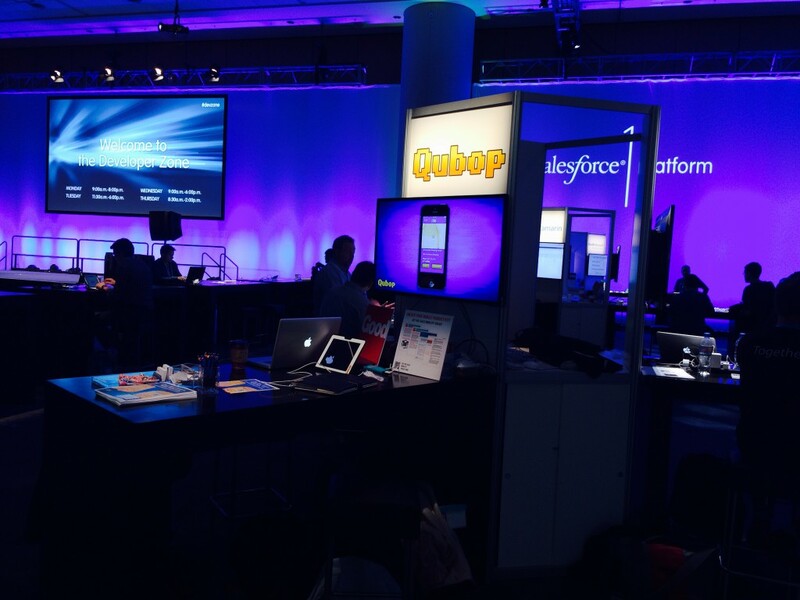 In fact, it was a busy week of app demos for Qubop. We also showed LeadCatch, a custom mobile app we developed with InCadence for FSE Energy of Covington, La., at our booth and at the Product Showcase Campground. A native mobile app that runs on the Force.com platform, LeadCatch provides fast, easy and customized access to leads and opportunities within the Salesforce system and offers a dashboard for analyzing the ROI of sending engineers to trade shows. On November 19, Evan gave a demo of Qubop’s SmartPower app during “Internet of Things: Connect Your Products, Apps & Customers With Salesforce,” a presentation by Salesforce’s Alex Toussaint. 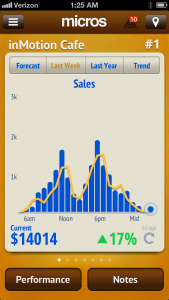 The app offers users real-time data stream of power consumption in homes equipped with smart meters. You can see how homes compare in their usage or even drill down to look at the circuit and device levels in a home. Watch the 40-minute presentation here or come in at 21:50 when Evan’s part begins. The women of Dreamforce came out in force last night to see our co-founder Chia Hwu and five other women leaders in Silicon Valley leaders engage in a panel discussion at the conference’s second annual FemmeForce & Girly Geeks networking event. The topic of the sold-out evening at the Westin St. Francis in San Francisco was “Growing Your Career.” In addition to hearing stories and insights from the panel, attendees took part in lively table discussions with women from all roles and networked afterward. Currently the CEO of Kenandy, Kurtzig is a legend in Silicon Valley. With just $2,000, the mother of two started ASK Computer Systems from her kitchen table in 1972 and over twenty years grew it into a $450 million company. Along the way, she also became the first woman to take a tech company public. As an industry analyst with Altimeter Group, Etlinger focuses on social media analytics and social strategy. She’s frequently asked to speak on those topics and interviewed by national papers like the Wall Street Journal, The New York Times and the San Francisco Chronicle. The Chief Marketing Officer of Salesforce.com, Vojvodich actually comes from an engineering background. Prior to Salesforce.com, she worked as a marketing exec at venture capital firm Andreessen Horowitz and CMO of Terracotta, among other roles. Now the Silicon Valley Market Managing Partner for PricewaterhouseCoopers, she spent nearly two decades working for the company in Switzerland and talked about the challenges she faced after first moving there. Salesforce.com’s annual Dreamforce conference in San Francisco next week is the largest cloud-computing event of the year, and Chia and Evan have a full slate of presentations and demos to share. This Sunday at 6 p.m., Chia will join five other women technology leaders in Silicon Valley in a panel discussion at “Growing Your Career: FemmeForce and Girly Geeks,” the conference’s second annual women’s networking event. The other panelists are: Sandra Kurtzig, CEO and founder of Kenandy; Sheila Jordan, SVP IT- Communication and Collaboration at Cisco; Susan Etlinger, Industry Analyst at Altimeter Group; Amity Millhiser, Partner, PricewaterhouseCoopers; and Lynn Vojvodich, CMO, Salesforce.com. The event at the Westin St. Francis’s Grand Ballroom is currently sold-out, but last-minute seats may open up — jump on them if they do. Monday morning at 9:15 a.m., Evan and Chia team up to present “Mobile Magic: How to Create Outstanding Enterprise Apps with Salesforce” at Moscone Center West’s Mobile Theater. They’ll discuss building iPhone apps integrated with Salesforce APIs and technologies, dive into iOS code examples and demonstrate Secure Sales Organization Manager, an app Qubop designed and developed for Sunnyvale-based Good Technology. The iPad app seamlessly combines multiple Salesforce technologies to offer sales management, document workflow and case handling across an entire company. You can also see the app at Qubop’s booth at Moscone West, DZ#30, Good’s booths at Moscone West #301 and Moscone North #1918 or at the Product Showcase Campground at Moscone North. While there, enter your name in Qubop and Good’s drawing and take a stab at winning an iPad Air. Campground demos take place Monday at noon and 4 p.m., both Tuesday and Wednesday at 2 p.m., and Thursday at 9 a.m.
On Tuesday, Chia and Evan will join Salesforce’s Alex Toussaint to present a demo at “Internet of Things: Connect Your Products, Apps & Customers With Salesforce.” They’ll show Qubop’s SmartPower app, which displays a real-time data stream of power usage in homes equipped with smart meters. That’s from 2 p.m. to 3 p.m. at Moscone Center West, 3001/3003. Qubop will also be demonstrating LeadCatch, which we developed with InCadence for FSE Energy of Covington, La. The custom mobile app, which was featured at Salesforce’s Elevate Mobile Platform in Houston on Aug. 22, offers company representatives real-time monitoring and followup for sales leads and opportunities. You can see LeadCatch at Qubop’s booth or at the Product Showcase Campground. In the best-attended event of the Mobile Enterprise Tour, our co-founders Chia Hwu and Evan Kirchhoff spoke to Houston professionals on August 22 about how to begin a mobile strategy at a large enterprise company. 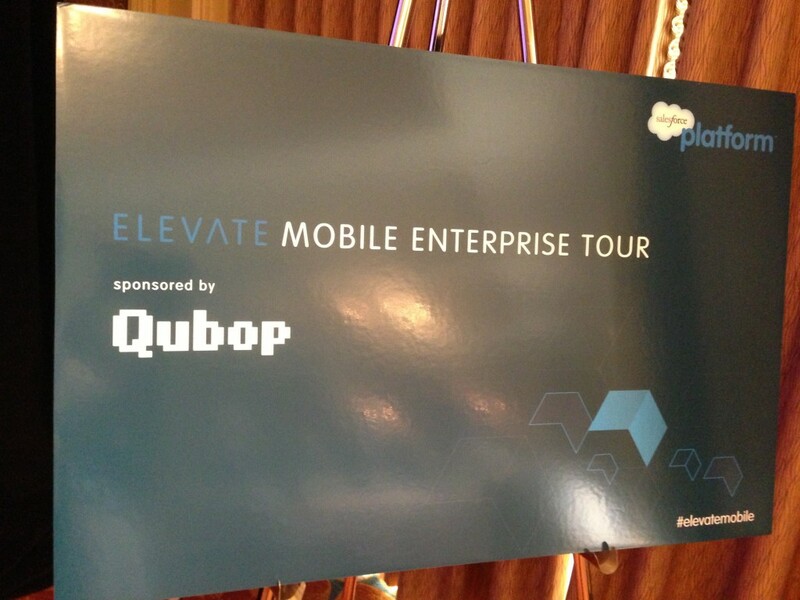 Sponsored by Salesforce, the Mobile Enterprise Tour was created to educate professionals about mobile app strategies. Qubop was Salesforce’s mobile partner on the tour due to our expertise in mobile design and development and our experience in creating apps for large enterprises such as MICROS and GE Healthcare. The Houston event was not only the best attended event of the tour, but it also received the highest ratings. In their talk, titled “Mobile Apps and Strategy for the Enterprise,” Evan and Chia discussed the advantages of various platforms and reasons to choose iOS or Android, including the prevalence of phone vs. tablet use, how likely users are to have the latest version of the platform and the number of users of each platform. Additionally, Chia and Evan talked about design principles using case studies of mobile enterprise apps built by Qubop. They also spoke about Qubop’s Mobile Jumpstart service, a month-long process in which our team takes a client company from plan to prototype. Meeting onsite with stakeholders, we plan a mobile strategy, with an emphasis on design. After that follows full-service product development with consulting, solutions discovery and implementation. In just four weeks, the client sees a prototype of their mobile app. API Economist: Why are iPhone apps so fundamentally different from iPad apps, or smartphone versus tablet? You definitely see two entirely different approaches to app design. I mean, just look at Facebook and LinkedIn. Chia Hwu: One thing we at Qubop think about as we design are use cases; our thinking is fundamentally user-driven. When you’re walking around with your phone, it’s usually in one hand and you’re doing something with your other hand. And whenever you have a smaller device, it’s more likely to be used for a shorter amount of time, perhaps while going from one place to another, waiting in line, and so on. But with a larger tablet, we usually see longer sessions. People tend to sit down and take a little more time with them. So the context is different — you can add more information. Not just because of the screen size, but because people have more time and patience to interact in a different type of space. API Economist: So are you seeing Android tablet adoption? Chia Hwu: We do see some. There are a lot of companies out there who are using different types of customized Android tablets, for example in restaurant ordering. There’s a restaurant in Palo Alto — admittedly, this is ground zero for all of the new start‑ups that want to sell new hardware to particular verticals — they’ve put Android tablets on the tables, and you don’t have to interact with a waiter at all. You can order and pay entirely with the tablet. So Android tablets are a good choice if you’re doing any kind of custom device, since you can freely modify the hardware or software stack. But as far as the consumer side goes, a lot of our clients don’t ask for Android tablet apps at all. API Economist: I find myself rarely ever using a landscape orientation with auto rotation on my iPhone. Why is that? 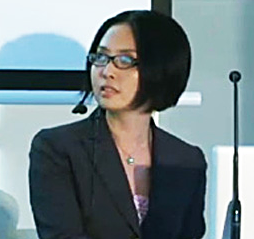 Chia Hwu: On phones, games are often landscape, designed for two-handed operation, but utilities are one‑handed and tend to be in portrait. You don’t really want those users to have to work their phone with two hands, because it’s awkward to hold a phone even in landscape with one hand. If you hold your phone in portrait, you can actually use your thumb to do some of the gestures. But you can also just hold it in one hand and use your other hand to scroll or tap the screen, which is also a common behavior. I think that’s the reason why most utilities are actually portrait. API Economist: Mobile app design is clearly evolving. I am seeing the emergence of hidden side menus and “pull to refresh” on a number of popular social apps. What are you seeing? Chia Hwu: Obviously, you mentioned some of the major conventions at the moment, such as the left menu, where the menu slides out and there’s a lot more room to show the different features that you may have, instead of using the older five-tab bar where you can only have five choices. And the left menu can even be a longer, scrolling list. On the downside, we’re seeing a tendency to overload the left menu, and sometimes overloaded right menus as well, because people are using those spaces as an easy way to drop in a lot of information. And pull to refresh is definitely something that users have adopted enthusiastically. There’s also a trend towards minimalism right now. Designers of current mobile apps assume that users have matured, and that we don’t necessarily need explicit 3D-styled buttons on the phone. Instead, the design surface has become a lot more flat and it looks less like things out in the real world. Obviously, the new iOS 7 system interface is a recent example of this trend. It appears that designers are basically moving towards print design with mobile apps. This could be due to the high resolutions of today’s screens, and the print-like level of color and detail that you can now render. 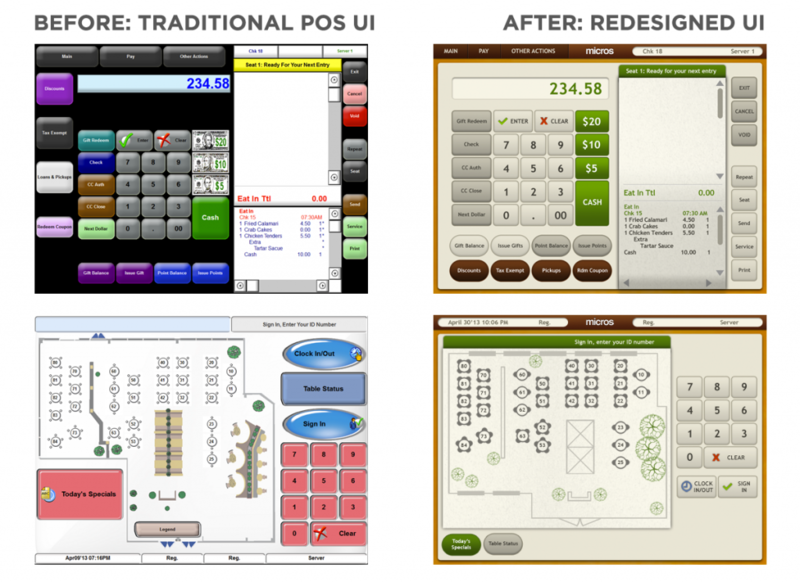 Building on the enthusiastic reception of our MICROS inMotion app for major restaurant managers, we were asked to redesign the primary interface for the MICROS point of sale terminals. This was an exciting assignment, because unlike the app, which is built for internal use by managers, the terminals are highly visible in public spaces — there are several at most MICROS customer sites, and you can often see one behind the bar facing outwards. Our new POS interface design, which is slated to become the default across MICROS hardware, is premiering this weekend in the MICROS booth at the National Restaurant Show in Chicago — stop by and see it if you can! Last night, at the Microsoft Campus in Mountain View, I presented a talk for the Silicon Valley iOS Meetup Group. 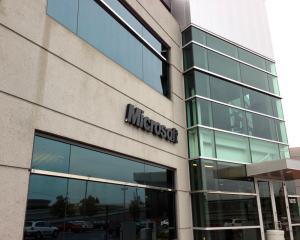 Microsoft hosted the Meetup as an extension of their “Embassy” at the Renaissance.io conference we co-organized in January, to introduce their mobile design principles and tools to iOS developers. My talk discussed our experiences with porting two of our in-house iOS apps. Mobimileage and Mobipark, to the Windows Phone platform, along with general lessons learned in setting up Windows development environments within our mostly Mac-based company. After some experimentation with VMWare, it turns out that the best place to start is Bootcamp on the Mac. 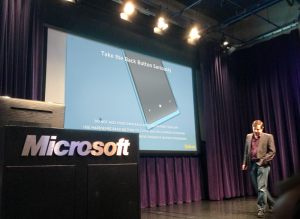 Running Windows on a MacBook works quite well, except for a few annoying quirks, such as different trackpad behavior — but these quirks can be fixed with a handful of 3rd-party utilities and shareware (see the slides below). However, while Windows runs very well on the Mac, frequently switching platforms means a lot of rebooting time, so if you find that you’re enjoying Windows Phone development, you’ll probably want to get a dedicated PC. As always, I’d recommend Central Computers in San Francisco for tower PC builds; I’ve gotten about 10 machines from there over the past decade, and they’re very good on price, quality and customization. In addition, if you’ve joined Microsoft’s BizSpark program and have access to free Windows licenses, Central can sell you a bare PC with no OS, and you can burn a DVD from BizSpark and set it up pretty easily on your own. For practical reasons, pizza is usually the only way to feed a sizable meetup group, but Microsoft is famous for feeding developers well at any event it hosts or sponsors. This meeting was no exception. Are you an iOS developer considering Windows Phone? Here’s what to expect from the new UI design patterns and development tools, and when porting your existing iOS apps. View more presentations from Qubop Inc.